Adwords Expanded Text Ads: Are you ready for change? 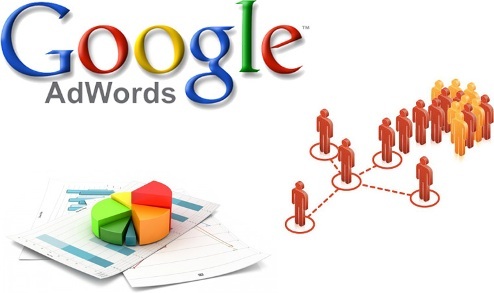 Create a Google Adwords campaign for the first time may seem a long and complex process. Some new advertisers try to accelerate the process and campaign structure can be embittered and lose effectiveness. One of the most common mistakes is to design a single creative within ad groups in Adwords. So, when a keyword of that group is activated, only an advertisement appears. If you have also done that ever see now why you should create multiple ads in the AdWords ad groups. Before addressing the ideal number of ads by the group, it is necessary to be familiar with the operation and structure of Adwords. Campaigns: each with a defined target advertising. Ad groups: where to find ads and keywords. There are many ways to structure an Adwords campaign. What is clear is one thing: the better organized is an account, the better the results will shed. To begin the actual management of the campaigns will be easier and will take less time. But this is not the best thing it is important that a well-structured account is easier to segment and is more likely to offer good results. Adwords account supports up to 10,000 campaigns (active and paused) and 20,000 ad groups per campaign. Within each ad group are allowed to create up to 50 text and 300 image ads. As you can see, it is very difficult to reach these figures so do not be afraid to create more than one ad per group. How many ads should have? Impress the audience in different ways: Do you want to reach your audience with the same message over and over again? Find out what the texts or words that work best are: If you only have one ad running and you establish variations on it (without creating new ones), it will be difficult to assess which of these changes have affected the performance. It is better to have multiple ads, with different texts and competing with each other. So you can really find out which works best for you. Constant improvement: By having multiple ads running, you can create new versions to obtained better performance and check their results. There is no ideal number of ads per ad group. You must consider your own ability and time to manage the campaign, and also the number of impressions that receive your campaigns. If you have one ad group with few impressions and a high number of ads, these are going to distribute the few impressions that occur. Consequently it will be difficult to assess the CTR or conversion because it will not have representative figures. So advice is to have at least two ads per group, although if you prefer you can work with more.